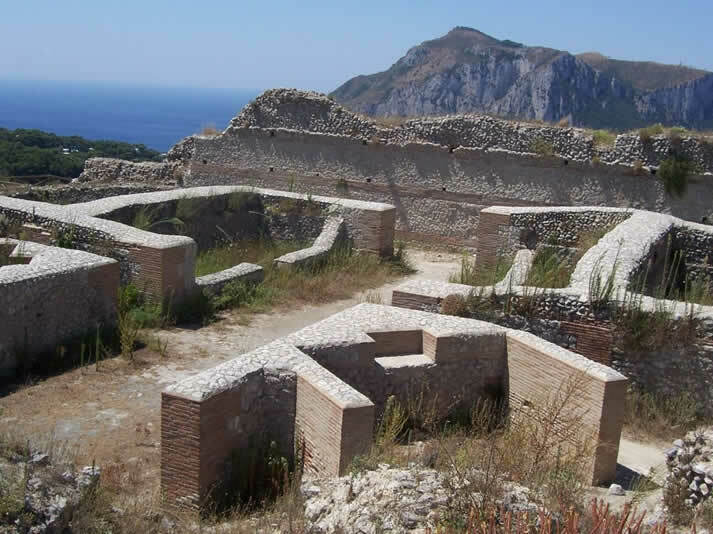 Capri offers one of the most fascinating itineraries in all of the islands of the Gulf, which leads to the discovery of villas (originally 12 in number), by Augustus and Tiberius, each of which, according to tradition was dedicated to one of the divinities of Olympus. Easily reachable from the port of Marina Grande, is Palazzo a Mare, a villa constructed by the will of the emperor Augustus. It was a seaside villa, which consisted of many rooms and enriched by a large park. From the palace today, you can admire only the ruins, which included a small nymphaeum and a river port. As a second point of call, Villa San Michele is recommended in Anacapri, reachable by the famous Scala Fenicia (Phoenician steps) or following the indications from the piazetta (small square). Villa San Michele is erected on the ruins of an ancient imperial villa, where you can admire Roman, Etruscan and Egyptian remains. A must see, requires you to move to the opposite side of the island to Villa Jovis, the principal residence of the emperor Tiberius. From the villa, you can admire enchanting passages that shocked the Emperor. From Villa Jovis, you can observe the so called Salto di Tiberio (Tiberian Leap), a lookout on the edge of a rocky precipice from which, according to legend, the enemies of the Emperor were killed with just a push into space. Capri es la isla más bonita que conozco, y Villa Jovis,debería haber sido un palacio espectacular, Tiberio al menos tenía buen gusto para elegir casa y lugares para vivir.